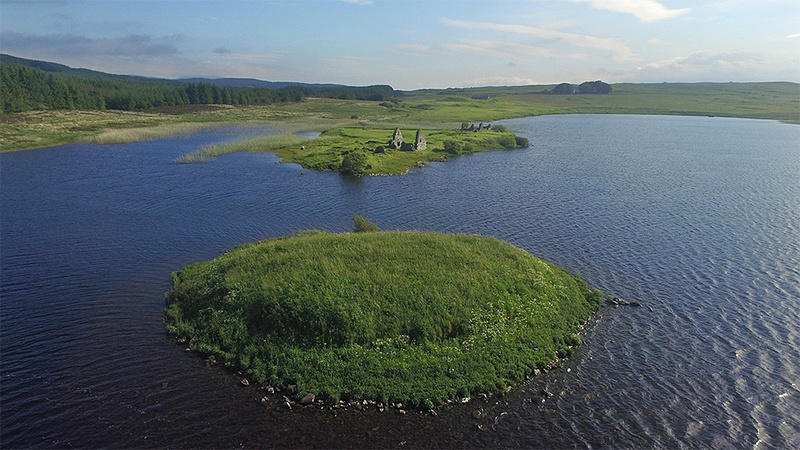 A view of Finlaggan from the south, looking at the home of the Lords of the Isles on Islay from a different direction than usual. Right in front of us Eilean na Comhairle. Behind it Eilean Mòr with the various ruins of the old buildings. The Finlaggan visitors centre just visible in the distance. This is such a different view. Love it! Wouldn’t mind going there by boat to explore those Islands. May be ask someone from the angling club? Think they might have a boat out there? One of my favourite places on Islay. Great to see it from above. Very different view, simply stunning.